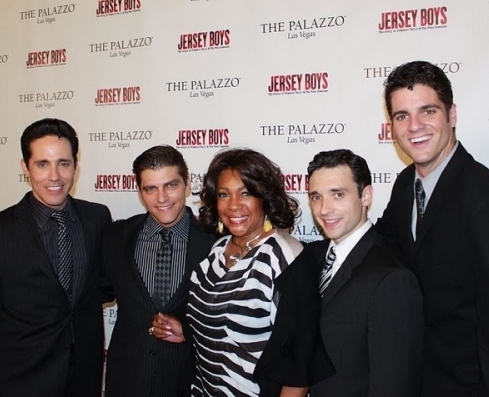 Legendary Supremes star Mary Wilson visited the cast of Jersey Boys over the holiday weekend. 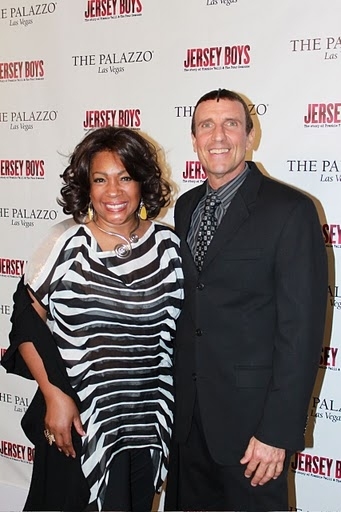 Following the performance, Mary Wilson was able to meet The Vegas JB Four Seasons and also visit with her yoga instructor John Salvatore, who plays Bob Crewe. Jersey Boys performs at The Palazzo Monday, Thursday, Friday and Sunday at 7 p.m.; Tuesday and Saturday at 6:30 p.m. and 9:30 p.m. and dark on Wednesday.